In a time of particularly strong violence and conflict, whole regions of the globe are engaged in ideological struggles, rooted in widespread ignorance and fear. How do we free ourselves from this situation? How can we learn to heal our wounds and to live in harmony with our neighbors? 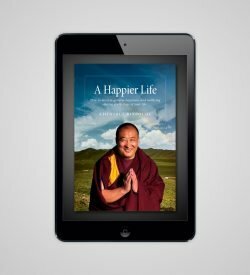 How can we truly achieve lasting peace and happiness? It is exactly these questions that have been asked for thousands of years by many of the world’s great sages. 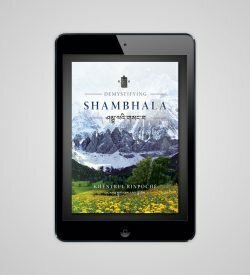 Their profound wisdom has made its way from generation to generation in the form of a diverse range of spiritual traditions that provide ongoing support and inspiration to millions of people. 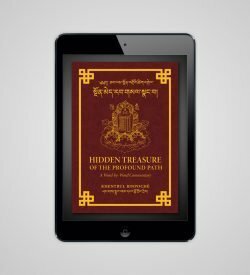 In this book, Khentrul Rinpoche presents a unique set of practical tools that we can all use to tap into the great diversity of wisdom and methods that this world has to offer. 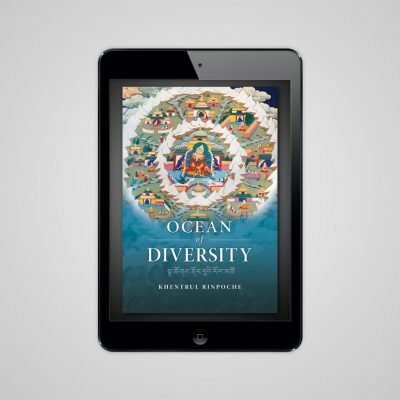 Through the development of a broad view that encompasses all of this diversity, we can each find a path that is capable of leading us forward towards the peace that we seek. 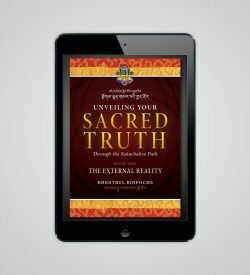 Then by probing deeper and deeper into that path, we are able to uncover our most profound inner truth. In this process, we learn that diversity does not have to divide us. Instead, it can be a powerful force to bring us together.